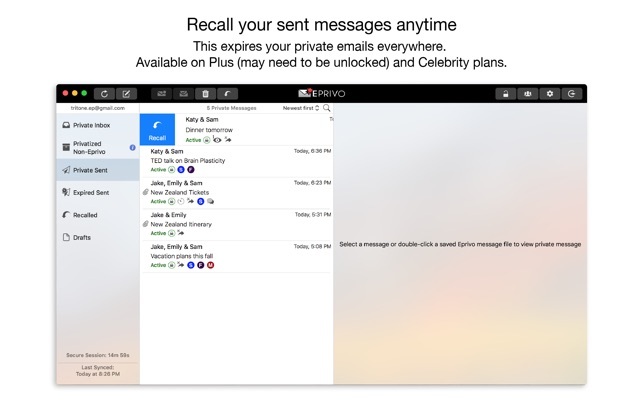 EPRIVO is much more than encrypted email. 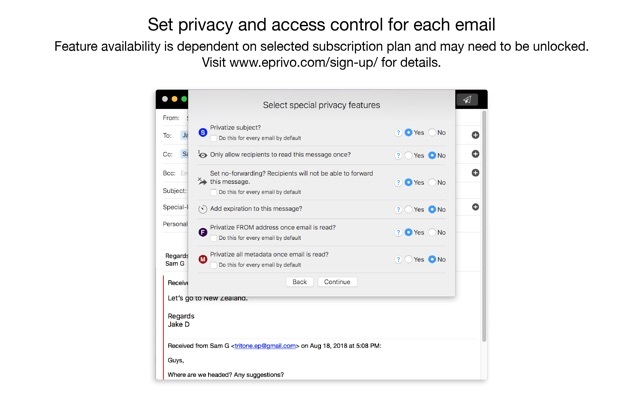 EPRIVO is the only private email service with a wide range of fine-grained privacy controls that a sender can use on each email. 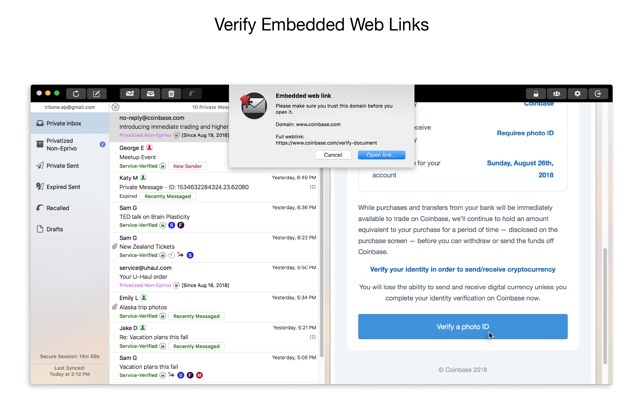 It is also the only private email service enables you to use your existing email address (GMail, Yahoo, AOL, iCloud, Outlook and Hotmail), and maintain control over sent private emails forever. Add special privacy controls, authentication, and encryption/confidentiality. Recall sent secure emails anytime to make them vanish. Privatize past emails from any account. EPRIVO service does not store your emails, but instead combines government-grade digital security/encryption with physical security to ensure each email’s privacy and access control in the future. Physical security involves private email content separation in the cloud, based on sophisticated algorithms, so that no single provider ever has access to all the content even in encrypted form. 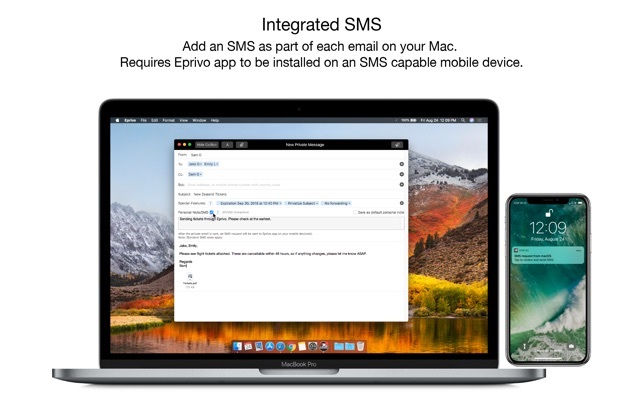 You can manage EPRIVO private emails using your favorite email client software, web-based email, or simply through the EPRIVO app. Don’t recall an email ID? Send email to a mobile phone number instead. Include a text message to notify recipients about a forthcoming email. 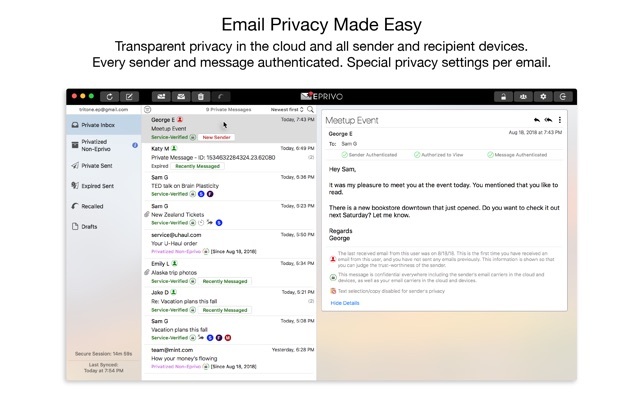 EPRIVO is a privacy service providing transparent email confidentiality, access control, and authentication using cloud solutions. 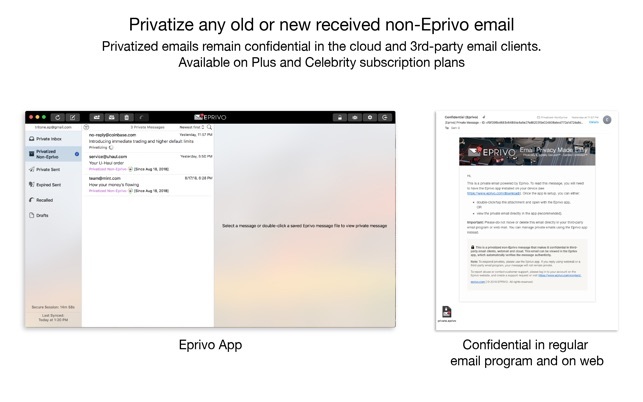 An active subscription is required to use EPRIVO service to send, receive and read private emails.